The following article by Bob Lohfeld of “Washington Technology” is an excellent primer in the challenges and risks associated with subcontractor management when teaming with other firms in small business federal government contracting. 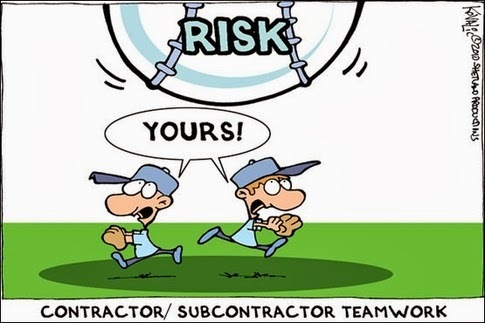 "Have you ever had a subcontractor kill your bid? Surprisingly, it’s not all that infrequent that a subcontractor can do you in. Here are some of the situations we have seen this year from companies who have called us for help, generally after it is too late to fix the problem. Since many of these teaming nightmares could have been prevented with some good counseling earlier in the bidding process, I thought I would share some of these with you and also offer advice that you can use to keep these problems from happening to you. A recent government solicitation stated that prime contractors were encouraged to team with multiple smaller businesses in order to fulfill the socioeconomic goals of the procurement. The request for proposals further stated that subcontractors shall be limited to teaming with only one prime contractor and cannot be a subcontractor on multiple teams. I’m sure you have seen this kind of restricted teaming language before. The prime contractor who called said they selected their small business subcontractors and executed teaming agreements with each, wrote a fine proposal which was submitted on time, and then got a letter back from the government saying their proposal had been rejected. They explained that apparently, their subcontractor thought that if teaming with one prime contractor was good, teaming with multiple primes was better. Even though the subcontractor signed an exclusive teaming agreement with the prime contractor, they teamed with multiple companies in order to increase their chances of winning. All prime contractors who teamed with this subcontractor had their proposals rejected. We told the prime that in the future, when an RFP contains specific language restricting subcontractor teaming, we recommend that this language be included in an addendum to the teaming agreement and the addendum be signed by an executive of the subcontractor certifying that they have teamed in accordance with the teaming restrictions. Regrettably, in this case, it was too late to correct the problem. A solicitation required the prime and its subcontractors to individually certify that they had no organizational conflict of interest (OCI). 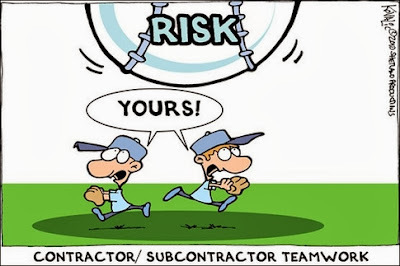 Less than one week prior to submission, the subcontractor’s contracting officer (CO) on a related contract indicated he thought the subcontractor had an OCI on the job the company was bidding. The subcontractor communicated the news to the prime and indicated the issue was resolved. The subcontractor signed the OCI certification, and the prime contractor submitted the proposal. Shortly after the proposal was submitted, the contracting office notified the prime contractor that their bid had been rejected due to the subcontractor’s OCI. The prime contractor challenged the rejection by asking the CO to evaluate the bid without the subcontractor’s input, and while the CO sympathized with the prime contractor, the decision rejecting the bid stood. Clearly this subcontractor wanted to run from its OCI problem and signing a statement that a conflict doesn’t exist does not make the conflict go away. We advised that the prime to get an OCI determination directly from the government before submitting its proposal and if this could not be resolved prior to submission, the prime should either submit an OCI mitigation plan with its proposal or submit an alternate proposal without the subcontractor rather than risk its entire proposal being rejected because of an unresolved OCI problem. Getting the subcontractor to certify that an OCI problem does not exists is not sufficient since it is the government who is the final arbitrator of whether or not there is an OCI issue. Relying on the subcontractor’s certification statement cost the prime contractor its bid. A prime contractor identified several small businesses that had direct contract experience with the customer and invited these companies to join their team. The sales reps from the small businesses boasted how well they knew the customer, how strong their relationships were, and how insightful they were about the work being competed. It was a perfect match, and the prime signed up the subcontractors. The prime and the subcontractors worked hard on the proposal. The prime submitted the bid, and shortly thereafter was told they lost. In the debriefing, the government indicated the subcontractors’ past performances was marginal and was overstated in the proposal. As a result, the government down-scored the proposal based on the poor subcontractor past performance and overstated claims. I suppose no sales rep has ever told a prime contractor that his/her firms performance was marginal and they had a lousy relationship with the customer. After all, sales reps wouldn’t last very long in that position if they didn’t put a positive spin on a marginal situation. The government changed the size standard on the recompete of a contract, forcing the incumbent to look for a company with the right size standard and socio-economic certification to prime their contract. After careful deliberation, they identified a partner who had a long-term history with the client and an outstanding reputation. The teaming agreement was signed and the proposal was begun. Next, the incumbent proceeded to make the new prime’s life miserable. They developed an extreme case of incumbentitis, could not understand the necessity of improving their processes on the new contract, thought every benefit rested on the argument that they were the incumbent, and were extremely cautious sharing information with the prime contractor even to the detriment of the bid. The incumbent insisted that the proposal only had to conform with section C (statement of work) of the RFP, not section L (proposal instructions) and M (proposal evaluation criteria). According to subcontractor, they never paid attention to L and M, only the SOW. They were quite adamant and disrupted all review meetings. To resolve these issues, we arbitrated a meeting between the top executives of both firms resulting in the subcontractor changing out the people supporting the proposal. With new, more reasonable players involved, progress is being made towards a winning proposal but much valuable time has been lost in the exercise of forming a highly functioning team. We’ll have to wait to see how this one turns out. Not all teaming arrangements turn out badly. If you want to read more about teaming and the characteristics that make teaming successful, refer to Washington Technology’s articles by Nick Wakeman about the WT Insider Reports. However, if you can’t resist telling your story about how a subcontractor sunk your bid, please add it to the comments section below. Truth is stranger than fiction so let’s hear what you have to say." 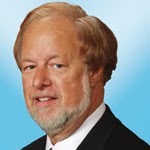 About the Author: Bob Lohfeld is the chief executive officer of the Lohfeld Consulting Group. E-mail is robert.lohfeld@lohfeldconsulting.com. I am not surprised, but you really need to keep your finger on the pulse of everything.